For those who are looking for a festive holiday this December, Germany and the Frankfurt Christmas market should be at the top of their list. At Hotels Fairy you will find why and where to stay when you visit the Frankfurt Christmas market in Germany. The Frankfurter Weinachtmarkt, as it is called in German, is one of the oldest Christmas markets in Germany. According to local historians the first Christmas market in Frankfurt took place in 1393. The market these days is located in the heart of the city and spreads across Friedrich-Stoltze-Platz, Hauptwache to the north, Mainkai, Paulsplatz, and Römerberg to the south. Walk from the old Sachsenhausen across the bridge and enjoy the Gluehwein and Bratwurst. Street drinking is a part of the festival, even though no one seems to be getting drunk! Beer, Gluhwein, Cider. If you love wine you must drink Glühwein, which is mulled wine made with red wine and various mulling spices and sometimes raisins. It will definitely warm you up. 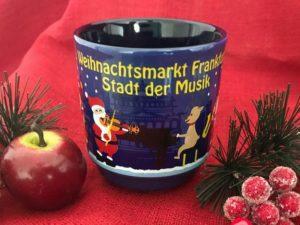 For three Euro you can take the mug with you, this festive mug has especially been designed for the 2017 Frankfurt Christmas market. The food at the Christmas stalls is amazing too. Bratwurst, which is a type of German smoked sausage made from veal, beef, or most commonly pork. 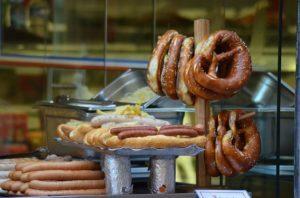 Different types of pretzel and ginger breads, potato soup, baked potatoes as well as the more traditional German fried potato pancakes served with applesauce. Highly recommended!!! There are also numerous types of cookies, herb candies and flavored nuts on offer. We recommend Brenten and Bethmannchen, they are delicious cookies. 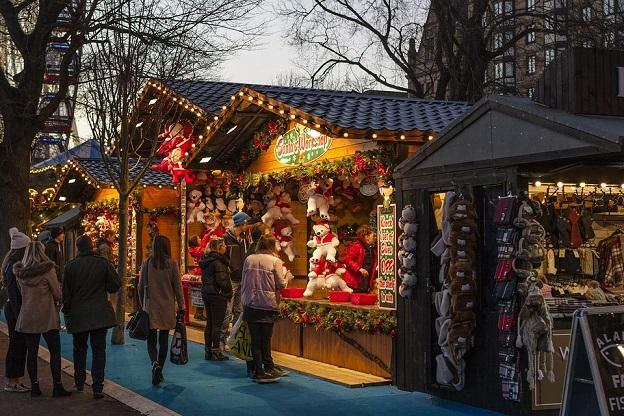 However, make sure that before you get to the Frankfurt Christmas market you stop by an ATM and take some cash wish you, as most stalls at the market do not accept cards. You can also take an easy walk by the Main River which is nearby, or even a cruise or hop on and off the to the red bus and explore Frankfurt on the cheap. The Frankfurt Christmas market opened its doors on the 27th of November and it will stay open until the 22nd of December. 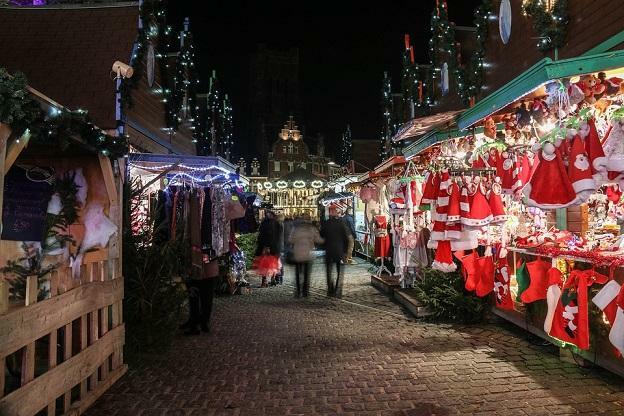 The opening hours of the Christmas market are from 10:00 am to 9:00 pm Monday to Saturday and from 11:00 am to 9:00 pm on Sunday. Commanding unique views of Altenstadt, The Westin Grand Frankfurt is set in a well-known part of Frankfurt am Main and provides a heated pool. This modern hotel is set in the heart of the city. This 5-star hotel provides free Wi-Fi, 24-hour room service and valet parking. A gym can be readily accessed by those wishing to keep active while away. It also has its very own wellness centre, Emotion. 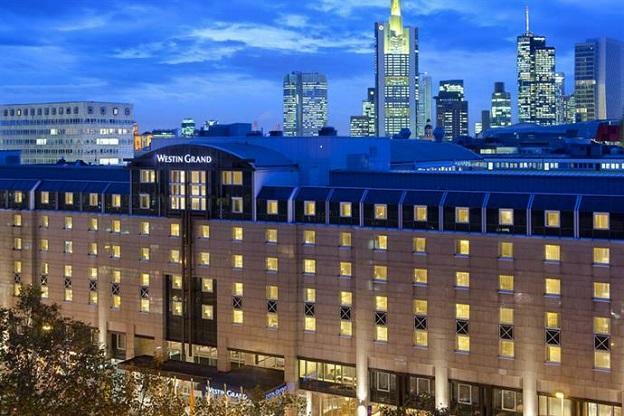 Each modern room at The Westin Grand Frankfurt includes a mini bar and cable/satellite channels, while the bathrooms offer bathrobes and showers. They feature a seating area, ironing facilities and heating. During their stay at Grand Westin Frankfurt, guests can dine at Motions and relax with a drink at GrandSeven. Guests are also able to try one of the many bars and cafés in the vicinity. Overlooking the River Main, this hotel offers elegant apartments with balconies. Frankfurt Central Station and the Zeil shopping street are just 1 underground stop away. 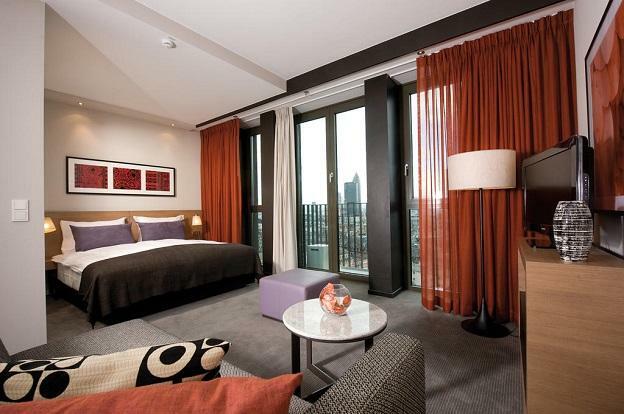 This 4-star property makes for an ideal base in Frankfurt am Main. It also features a sauna, a rooftop terrace and a swimming pool. Adina Apartment Hotel Frankfurt Neue Oper offers free Wi-Fi and private parking on site. The front desk operates 24/7 and the friendly staff can suggest sights to visit and provide other tourist information. The apartments are air conditioned and offer a private balcony, a refrigerator and a mini bar. They provide a seating area, an alarm clock and an in-room safe. Adina Apartment Hotel Frankfurt features both a restaurant and a bar where guests are able to unwind of an evening. Alternatively, there is a large range of international restaurants nearby. Conveniently located in the middle of the city, this 4-star hotel makes for an ideal base in Frankfurt am Main. It is situated a short stroll from European Central Bank and Deutsche Bank. 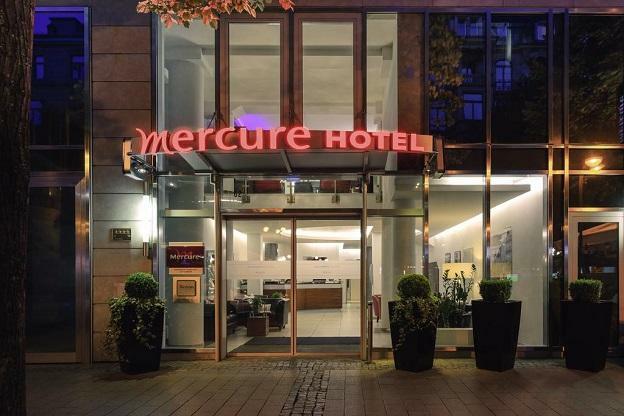 Mercure Hotel Kaiserhof Frankfurt City Center has been recently refurbished and features an express check-in and check-out feature, meeting rooms and free Wi-Fi. Staff are available 24/7 and can assist with booking tours and tickets. All of the modern rooms at Mercure Hotel Kaiserhof Frankfurt City Center are equipped with a refrigerator, cable/satellite channels and a mini bar. The bathrooms have a shower and a bathtub, and include bathrobes and a hair dryer. Kaiserhof’s restaurant is open for breakfast and is a suitable place for those who want to stay close to everything the property has on offer. Guests are also able to try one of the many bars and cafés in the local area.